Have you ever wanted to experience the Android OS on your computer or laptop? Well, there are many people out there that ought to play Android games or apps on their computers. In order to run Android apps on your computer, you need to have an android emulator installed on your computer. You might know that there is no shortage of Android Emulators in the market today. You will find tons of emulators that claim to deliver the lag free android experience on your computer. But only a few of them works the way an android does. If you want to enjoy using Android on a big screen or Play Android Games on Computer, then here are our Top and Best Android Emulators for PC on Windows, Mac, Linux. Before jumping into the topic, let me inform you something. Emulators require loads of power in order to work smoothly without any crashes. So if you have a ten-year-old PC, then I’m sorry to say that your computer cannot handle emulators. However, there are a few ones in the market that don’t require many resources to work properly. So, let’s jump into the list of Best Android Emulators for PC Windows 10/8.1/7, Mac and Linux to enjoy the whole new Android experience on a personal computer. 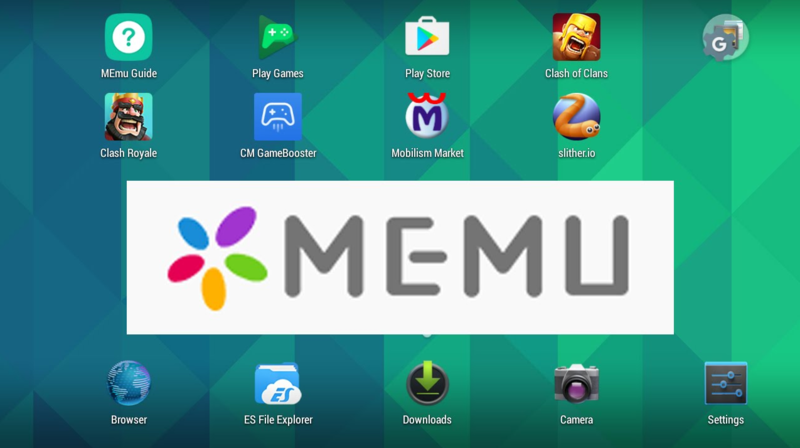 MEmu is our first pick on this list of best android emulators for windows pc. Unlike other emulators, MEmu does an excellent in delivering the true Android experience to the user. MEmu has got a lot of unique features that set it apart from other Android emulators. First of all, MEmu delivers super high performance with no or minimal lags. It also comes with a feature of keys remapping that will help while playing games on your PC. You can assign certain keys to a particular touch location. MEmu comes with Google Play Store installed, so you don’t need to download it separately. Overall, MEmu is an awesome Android Emulator that you could get at the moment for free of cost in the market. Movement of the Mouse is smooth and playing Mobile games on your PC is very easy and lag free. Play multiple games on the same account and also you can play the same game with different accounts. That enables accessing the same game at different levels and stages. The best all in one service for the custom Android emulator and app distribution. Nox Player is another well-known name in the field of Android emulators. The reason why people choose Nox Player over any other android emulator is because of its overwhelming boxes of features. There is no competition for Nox Player when it comes to the features aspect. At first, you may find the interface and options a little hard but you will become familiar with it once you start using. You can allot of a specific amount of RAM, CPU cores to the Nox player from your system’s specs. Other features like inbuilt Google Play Store, drag and drop APKs to install, simulate touch functionality (very useful for playing FPS Games and Android Offline Games) etc comes packed with Nox Player. Definitely, Nox Player is one of the best Android emulators for pc running windows. The best android emulator for Windows and Mac pc to play Android games with lag-free experience. Smooth GamePlay, Smoother mouse movements, Stronger Compatibility, Supports various 32 Bit and 64 Bit apps and Games. Exclusive Skins readily available to change the default appearance of the App Player. 60 Frames Per Second is the greatest advantage. I’m sure you would have expected Bluestacks to be on this list, didn’t you? 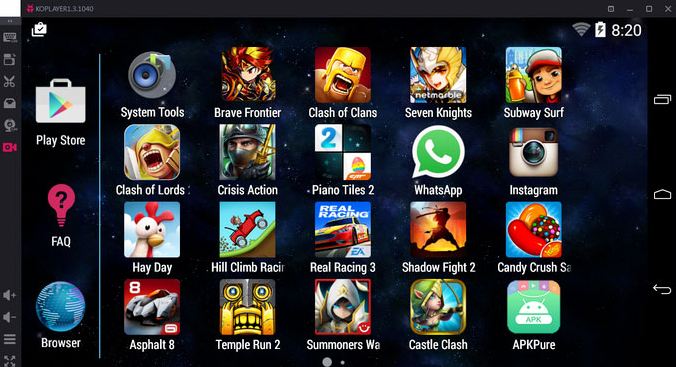 Well, Bluestacks is one of the popular names in the emulator’s field that is based on Android 4.4 KitKat version. Bluestacks was the one that started the “Android on PC” trend and soon the competition grew up. However, still, bluestacks is capable of delivering smooth performance compared to other Android emulators. Installing APKs files on Bluestacks is pretty simple and easy, it also allows you to live stream games to twitch, supports multitasking and packs a lot of other features as well. The free version of Bluestacks comes with ads, you can purchase the premium version to get rid of annoying ads. To be honest, this list would be like incomplete without the Bluestacks. 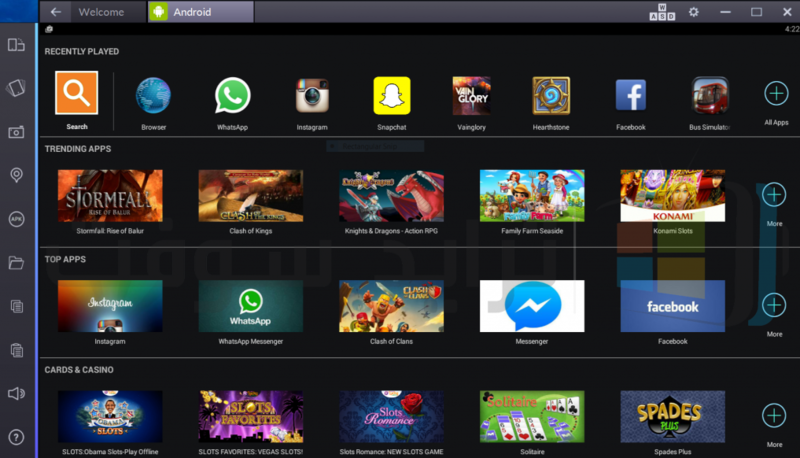 Moreover, Bluestacks has different versions like Bluestacks, Bluestacks 2 and Bluestacks 3 with major changes. Bluestacks 3 comes with an advantage of playing multiple games at once with the fastest gaming experience. 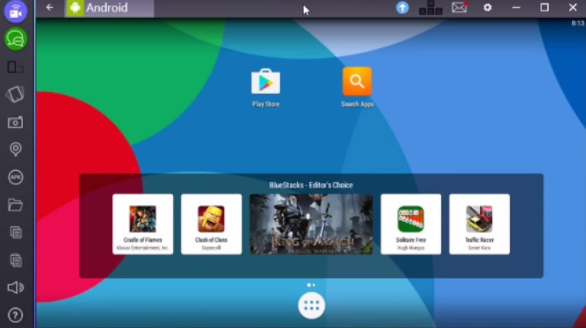 Bluestacks 3 Android Emulator is the best of it’s kind to allow you play Android Games with Mouse and Keyboard on your computer (Windows, Mac, Linux). App Center is the well-organised place for you to find out all famous games and top games being played by other gamers online. Gift Center is the best integration bluestacks has ever tried; it provides you in-game gifts (Special Gifts, Gems, Gold, Coins, Points) while playing. Moreover, you cannot find them anywhere else online. Bluestacks Select is the exclusive feature for Fun loving developers. Bluestacks’s world-class gaming platform uses patented Hyper-G Graphics APIs that actually allows you to play at maximum resolution for best in-game experience. Multi-Instance functionality is another handy feature to make use of the Bluestacks 3 Android Emulator. You can switch between apps and games anytime with ease. 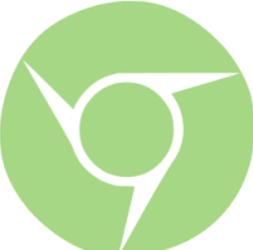 If you are looking for something strong and powerful, then Leapdroid is your way to go. Well, Leapdroid has been shut down by Google for some untold reasons. However, it can still be downloaded from other sources. In spite of the shutdown, Leappdroid is still one of the robust android emulators in the market. Leapdroid comes with all the essential apps like browsers, camera app, music apps etc. You can directly download popular android games using the shortcuts featured on the home screen. You can also change the graphics rendering of the emulator from OpenGL to DirectX. Additional features like keyboard mapping, gesture detailing etc comes packed with Leapdroid. All these features can be very useful for playing AAA title Android games. Update: LeapDroid announced that they joined Google and working with Google for something interesting. Full details to be announced by LeapDroid very soon. 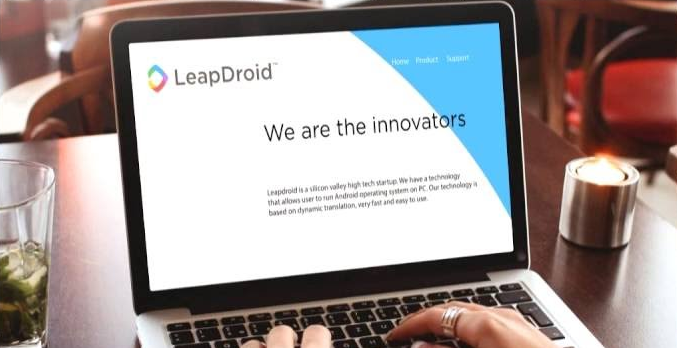 Important Update: The developers of the LeapDroid announced that they discontinued the Android emulator but if you have installed it already, you can still use it. But there won’t be any future updates. Useful Note: As the developers said there won’t be any future updates, the Operating system inside the app player won’t change, it means, you can use the same OS even if you can actually use the next big update from Android that is, Android 9.0. If you are not unsatisfied with the above-mentioned emulators, then GenyMotion is another alternative that you can try out. GenyMotion is often considered as an alternative to other Android emulators. Despite being called as an alternative, it still holds the capability to compete with other emulators. One of the best features of GenyMotion is that it lets you choose any android version to install on the emulator. GenyMotion is meant for the development but it can be used for personal use as well. 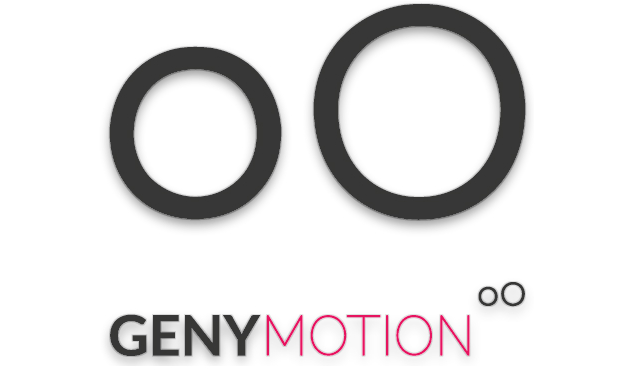 The premium version of GenyMotion packs tons of useful features like screen casting, remote controlling and much more. The only down side of GenyMotion is that it doesn’t come with Google Play Store installed. You need to put some efforts for the setup to install Google Play Store. 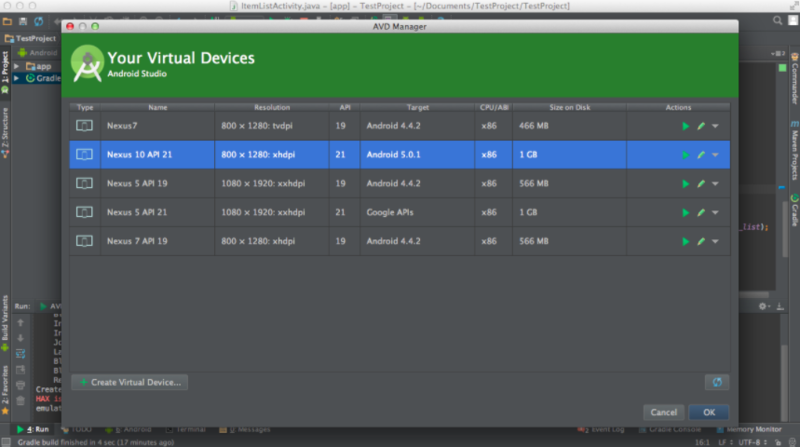 Overall, it’s great Android emulator for developers out there who want to test their apps. The best in class Android Emulator that works better than any other Android emulators listed in this article. GenyMotion adjusts the screen size of the game or app that is compatible with the computer you use (Windows, Mac, Linux). You can simulate internal storage ISO performance. Available in both Free and Paid versions with various differences in features. AMIDuOS is basically a new android emulator in the market compared to the other ones. It is specially designed for multi tasking purpose. It can handle multiple apps pretty well and uses the lowest possible amount of resources of your system. Almost all the features of AMIDuOS are based on productivity, it’s really cool for people who want to use it for office or work purpose. The main drawback AMIDuOS emulator is that there aren’t many features available for playing games. However, it still manages to run basic games pretty well and smoothly. As mentioned earlier, it’s heavily focused on productivity and office work purpose rather than personal use. However, it’s still worth trying out if you want to enjoy casual games or test your Android apps from your computer. 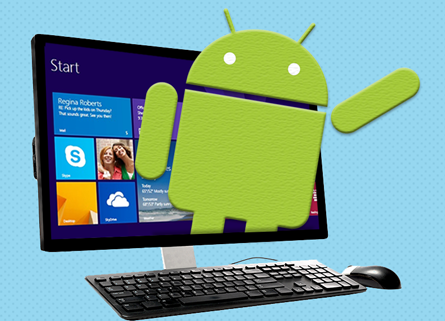 Don’t forget to give it a shot if you are looking for the best Android emulators for pc running windows. AmiDuos works only on Windows-based computers, and it’s not available for Mac and Linux devices. Application compatibility; supports almost all of the Android applications available on Google Play. In-Built Amazon App Store allows you install apps from Amazon.com. Enjoy superior gaming experience on Windows computers as it supports the 3D acceleration. AMIDuos uses the Windows OpenGL drivers for the better frame rate to support CPU Intensive Games for PC. 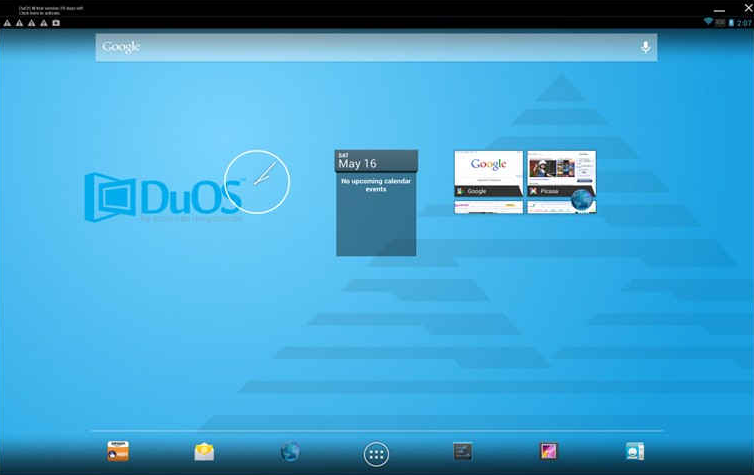 AMIDuos supports tablet view and options such as pinch and zoom along with a computer keyboard. When it comes to free Android emulators for Mac, we don’t have plenty with required features. Fortunately, we have Droid4x which is one of the best android app players available for both Mac and Windows computers. It is well known for its power in the form of unaltered speed of emulating apps and games. Complete Root Access is yet another big asset for Droid4x Emulator. Droid4x comes with pre-installed Google Play app to download various apps and games without hustling. Supports Cut, Copy and Paste operations between the guest operating system (Android) and a default operating system (Windows or Mac on Computer). You may perform Zoom In and Zoom Out to view pictures and pdf files, etc., with a cursor or a touch bar. When it comes to gaming, Droid4x is my first pick. Emulates almost all Android apps and games without any errors and lags. Droid4x uses the computer graphic cards to let you enjoy the Android gameplay. Andy is one more android emulator into the list. The Andyroid emulator can be installed on Windows, OS X, and a Linux computer as it supports installing apps and games with the support of Oracle VirtualBox. Andy is packed with a complete package of Android User Interface and Google Play Store pre-installed. It also supports X86 native apps and that’s a unique feature of Andyroid of course. Camera Integration and Microphone Integration will help us make better video calls from a Personal Computer. Moreover, you may also Install WhatsApp Call Recorder to Record WhatsApp Calls from a PC to Smartphone and vice versa. Provides unrestricted sync between the computer and Android device. Sends push notifications on the computer (Windows and Mac) in Android style. 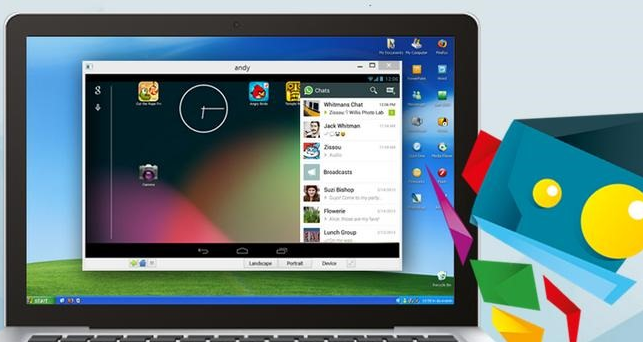 The frequent OS updates made it the best in class android emulator for pc running windows and Mac operating system. You may use your phone as a controller. ARM Support, Multi-Touch Support, Cloud Save in Android made Andy one of the top emulators today. Camera and Microphone integration helps you make video calls through WhatsApp and other apps. Android Studio is an official IDE for Android. If you are an app/game developer, you may use it on your devices to test your apps or games. 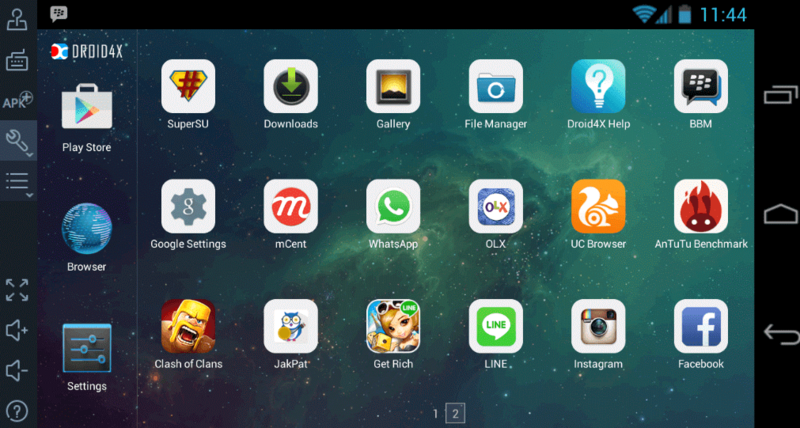 It won’t help you if you are just looking to use it as a normal android emulator to install apps and games to play. In one word, Android Studio is not a right pick if you are at a consumer level. But it’s the best android emulator to test out the apps and games with a world class code editing tools, debugging, performance tools, etc. It will take much of your time to set it up initially but it will super easy if you once set it up. ARChon a unique android emulator and completely different from a traditional Android emulators for pc. It will allow you install the unlimited number of Android APKs created with (ChromeOS-apk) on chrome os and on any operating system that supports chrome. You may install it on Windows, Mac OS X or on a Linux computer using Chrome Web browser and load Apk files to install. It means that you can use any android app on a browser itself. Moreover, you may download the Apk file from any source of your choice and load it here. KoPlayer is the latest android emulator for pc that enables all Android apps and games to run smoothly on a windows computer. It supports multiple accounts and video recording along with all basic features like pre-installed google play, Gamepad, OpenGL and Hardware acceleration, etc. Of course, it’s a free option but with few bugs. The installation process of KoPlayer is super easy, unlike the Android Studio Android Emulator. Remix OS Player is yet one among the latest Android emulators for pc that runs Android 6.0 Marshmallow instead of running Android KitKat or Lollipop. It’s the only one which has Marshmallow as the default virtual operating system. It won’t consume much of your brain to the installation process. The built-in sidebar will help you customise the app player the way you want. 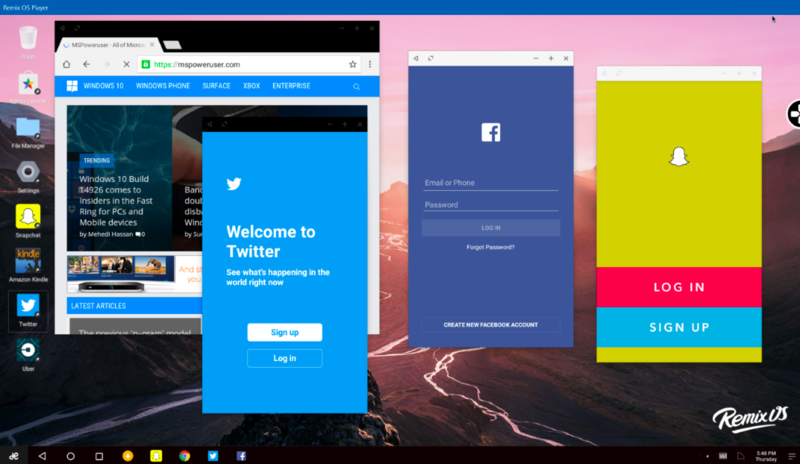 Remix OS Player is best designed for gaming purposes with Remix OS’s Gaming Toolkit. You can get it for free for lifetime. 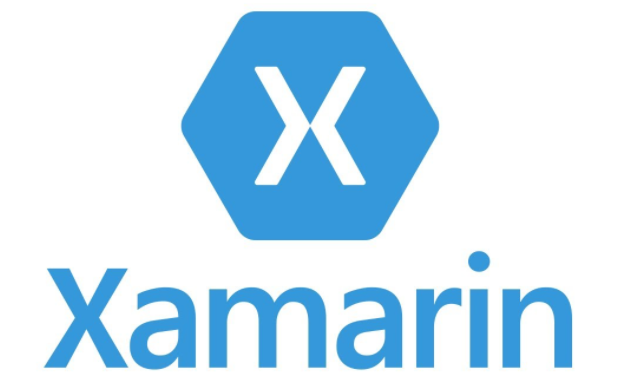 Xamarin is almost similar to the Android Studio with a built-in emulator for developers. It’s not recommended to use at a consumer level as it’s well designed for the app developers. You may build native apps for various purposes using a powerful coding panel. Automated testing on Xamarin Emulator will always make every app look better with full frame screenshots and video playback. If you are a developer, you may communicate with your users and get feedback and bug reports from within your app or game. Windroy is a way older android emulator for pc but does the job perfectly. It’s the best android emulator for older versions of Windows operating systems. In fact, it was the leading android emulator in the early stages of emulating android in windows or mac. Windroy is a free android emulator and of course, easy to install. I won’t recommend your Windroy for gaming purposes as it’s neither well configured nor updated. Youwave supports both Windows and Mac. Moreover, it’s one more older android emulator with all basic features. Frankly speaking, it does not have any specific elements either for gaming or for video playback, etc. The last update to the Youwave was at June, 17th, 2016 with Premium Version of Lollipop. You may go with Remix OS Player if you are serious about Marshmallow or later. Name of the android emulator itself has everything to talk about. You may create your own emulator using all built-in features with the help of the Virtual Box. Make Your Own is not at all recommended until and unless you know how to deal with it. Just mentioned it for educational purposes. Of course, you can find out much more guides online on How to Use “Make Your Own” Android Emulator. Don’t worry if you don’t have an Android smartphone or a tablet. It’s more than enough if you have a Windows or a Mac computer as the Android App Players will do the rest of work. You can use Android Apps and Android Games along with much more exciting features on your Windows computer using third party emulators. I have provided a list of Top 16 Best Android Emulators for PC (Windows 10/8.1/7 or Mac OS X or Linux). Most of them are free and of course, you may also go with the premium emulators but free versions are more than enough.